Programs & Services - Project: THRIVE! We are dedicated to bringing awareness to Animal and Environmental Welfare, through education and action. 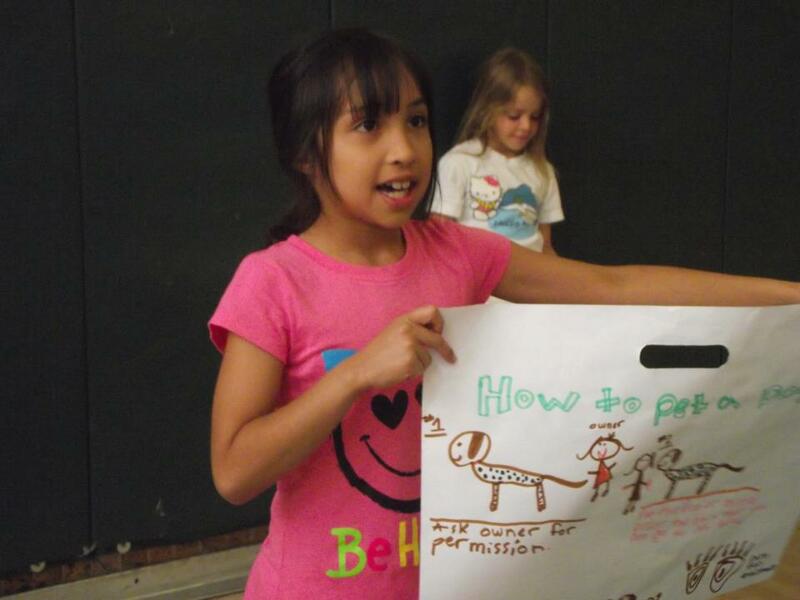 We strive to educate children and their families about animal and environmental welfare, and in turn, empower them to advocate and make a difference in their own neighborhoods and communities! We are able to share our knowledge and resources through a variety of education and awareness programs! Our Education and Awareness Programs are designed specifically for each individual group or audience. These may include, but are not limited to, school classrooms, enrichment groups, scout troops, special events or even corporate settings. 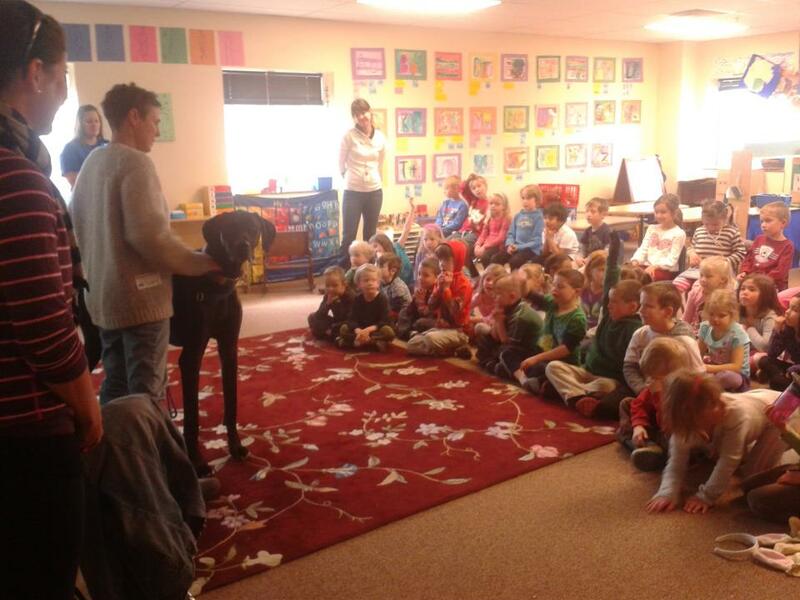 Our programs are informative, interactive, age appropriate and can include Therapy Animals in the presentations. “Our task must be to free ourselves… by widening our circle of compassion to embrace all living creatures and the whole of nature and its beauty.” ~ Albert Einstein. 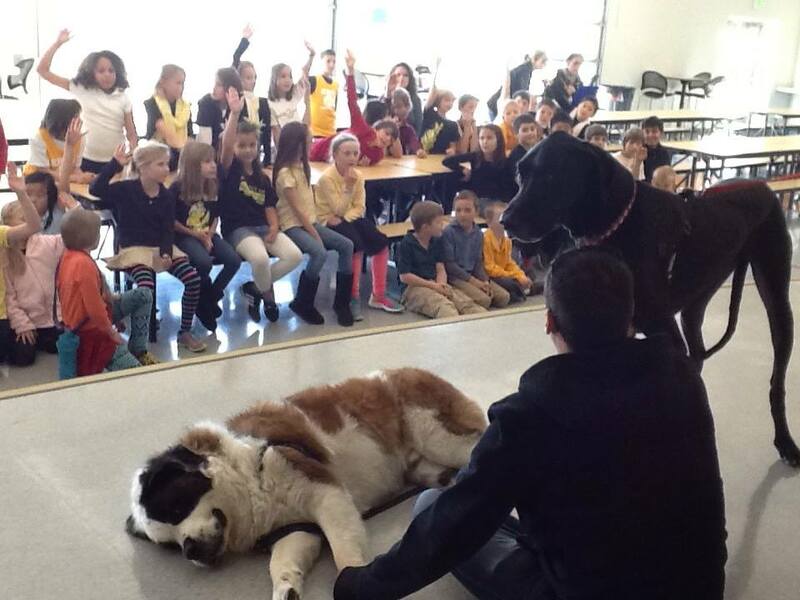 Our ‘Dog Safety and Respect’ Demonstration teaches kids how to approach, care for and interact with dogs in a safe and non-threatening way. Through education, songs, role-play and practice, our class allows children to feel more confident and secure in how to interact with DOGS! The mission of this program is to improve the literacy skills of children through the assistance of registered therapy teams as literacy mentors. Most importantly, we aim to create a fun and enjoyable reading space. 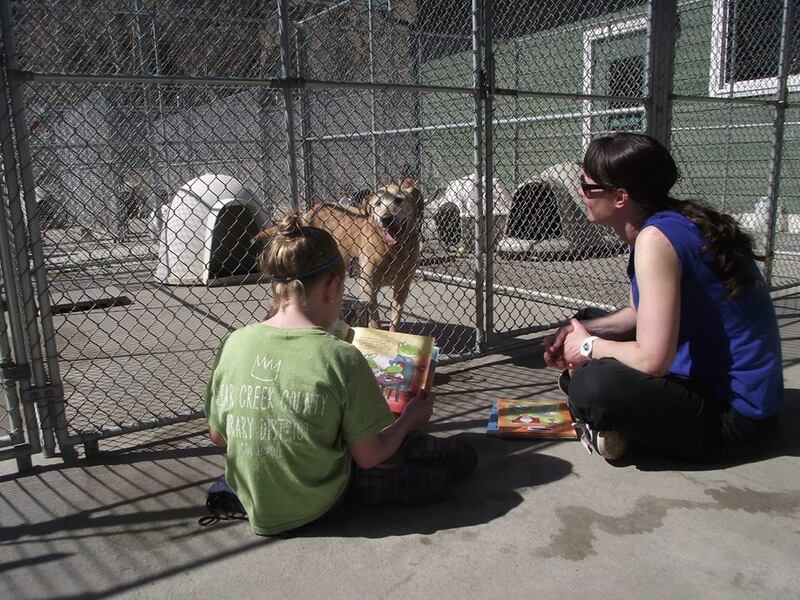 It is documented that having a companion animal to read to is helpful in confidence building for a young reader. 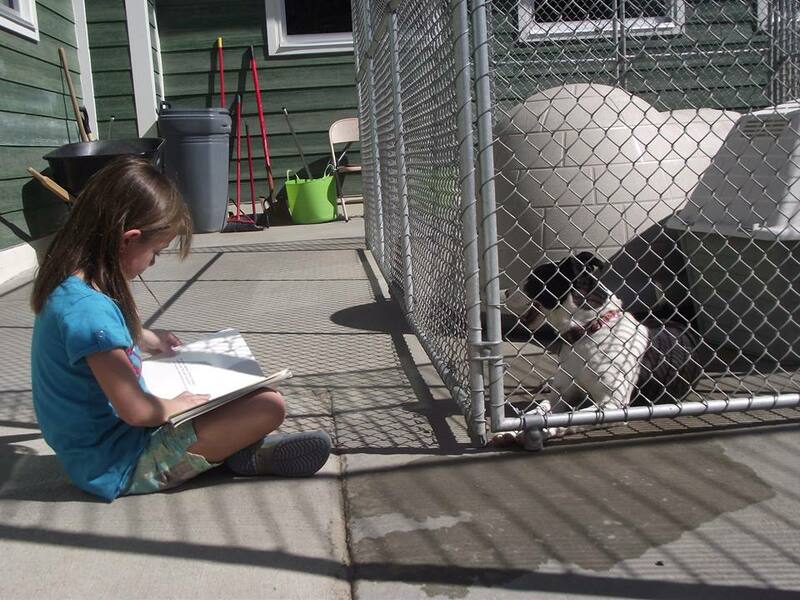 Dogs don’t criticize or judge the reader so they provide an accepting ear to listen to the young readers. Additionally, shelter dogs are often scared and/or uncertain in their new, unfamiliar environment, around strange dogs and new humans. 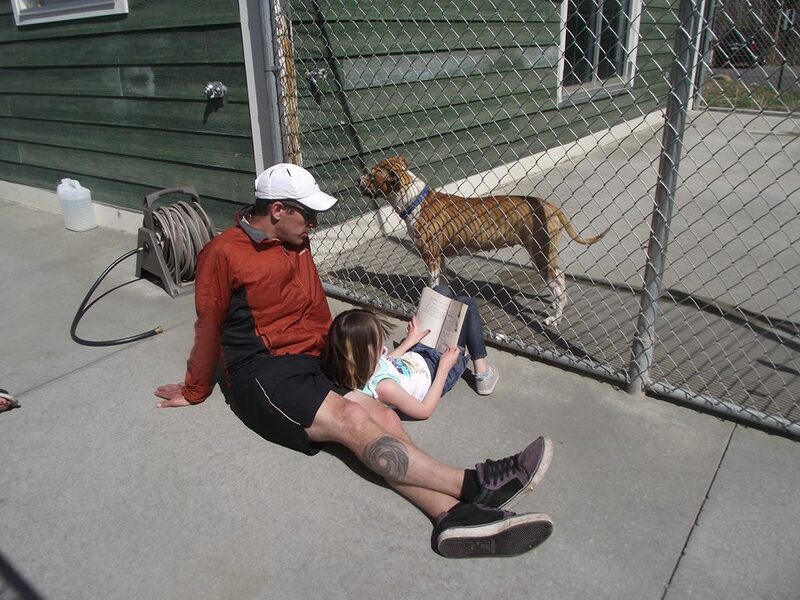 With young readers calmly and patiently reading to the dogs while the dogs are safely in their own kennel, a comforting and reassuring interaction is established for the animals, building confidence for both parties. 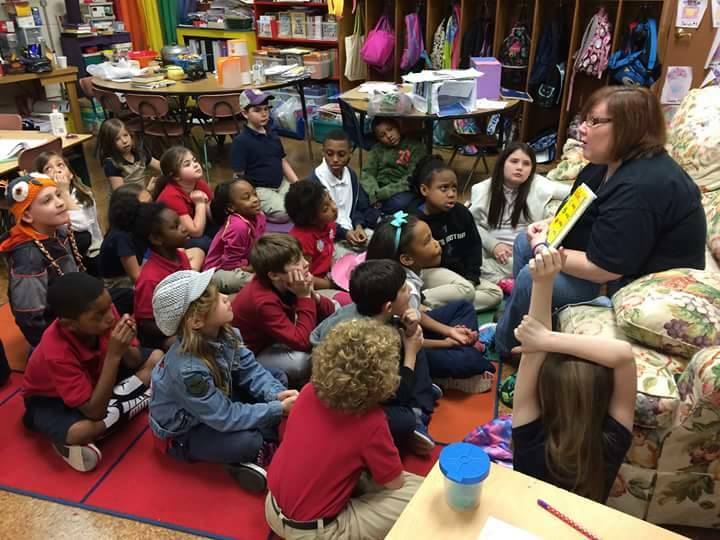 This relationship also fosters better reading skills for the children. In this program there is no physical interaction between the animals and readers. Project: THRIVE helps facilitate these partnerships with training for, and supervision of the implementation of the program.